Progress on this front in 2014 didn’t look very promising when the TV news cycle’s big story was about a teacher who lost weight eating only McDonald’s. Fortunately, L.V. Anderson of Slate wrote this about it so I didn’t have to. If John Cisna wants to try to lose weight by eating at McDonald’s every day, fine—but it’s his responsibility to monitor his diet, not his students’. And teachers should be particularly careful about talking about dieting in the classroom given teens’ susceptibility to eating disorders and negative body image. Add in the pro-business political implications of Cisna’s project—“Hey, it’s choice. We all have choices; it’s our choices that make us fat, not McDonald’s,” he told a local news station—and you have what looks like the dissolution of appropriate student-teacher boundaries. What’s worse is that Cisna’s not even teaching his kids good science. Andy Bellatti addressed it this way. The next thing that gave me hope was Nancy Huehnergarth’s piece exposing Gatorade’s war on water. If you thought Big Soda’s decades-long “War on Water”–part of their strategy to increase sales of soda and other bottled drinks–couldn’t get any worse, you were wrong. 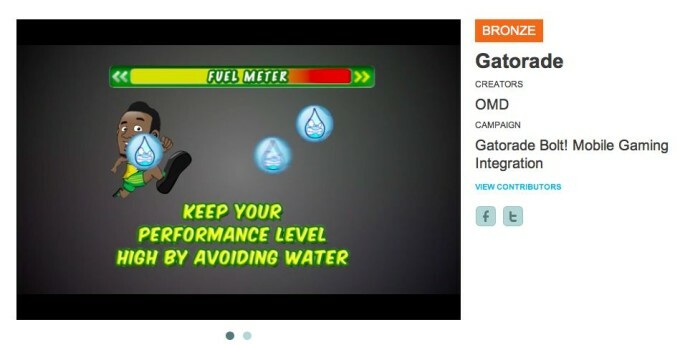 The latest assault, courtesy of PepsiCo, is in the form of a mobile game for youth that brands water as the enemy of athletic performance. Just as Coca-Cola found with their “Cap the Tap” program, dissing water is a surefire way to rally those who care about health to take action. It appears the public health community is also coming together on the issue of reducing sugar consumption. There was a major development last night that really gave me hope we’ll see progress in draining the food swamp. Obesity experts are launching a campaign to put pressure on the government and industry to cut the sugar content of food and drinks by up to 30%. The high-profile scientists and doctors behind Action on Sugar say that gradual cuts in the amount of sugar in ready meals, cereals, sweets and soft drinks will not be noticed by the public, but will result in a reduction in the calories we all consume. One of those doctors, Robert Lustig, called sugar “the alcohol of childhood” and Dr. Yoni Freedhoff had strong words as well. Not only has added sugar found its way into virtually everything we eat, but worse still, the use of sugar as a means to pacify, entertain and reward children has become normalised to the point that questioning our current sugary status quo often inspires anger and outrage. It is unacceptable to market cigarettes and alcohol to children because they are known to be harmful and addictive. A similar understanding will be necessary to end the marketing of junk food to children. Awareness of the harmful and addictive nature of junk food is growing and two new videos will help more people understand. Highlighting how today’s sugar consumption is similar to drug addiction,Youth Speaks and UCSF Center for Vulnerable Populations have teamed up with high schoolers to raise important questions about healthy food access with provocative PSAs about diabetes. Their campaign, The Bigger Picture, gives youth opportunities to not only show-off their creative skills, but also win educational scholarships. 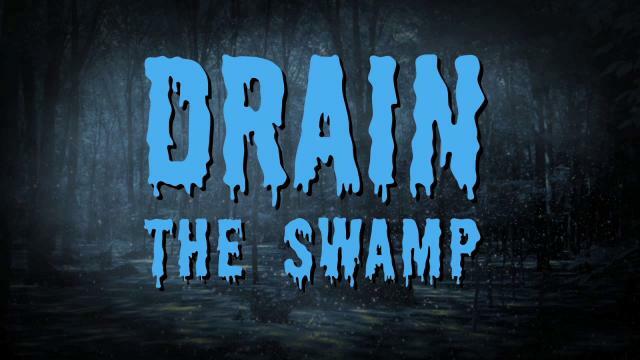 Here’s to 2014 being the year we drain the food swamp! Tags: Andy Bellatti, CSPI, Nancy Huehnergarth, Nicole Avena, Robert Lustig, Youth Speaks. Bookmark the permalink. Previous post ← Do We All Have to Move to the Rocky Mountains? Another stellar piece, Casey. And yes, I will definitely be contacting Jack Conway’s office about this Gatorade atrocity. Looks like they’re taking a False Claims page from Big Pharma’s playbook. Despicable! Thanks for the comment and the help with draining the swamp!